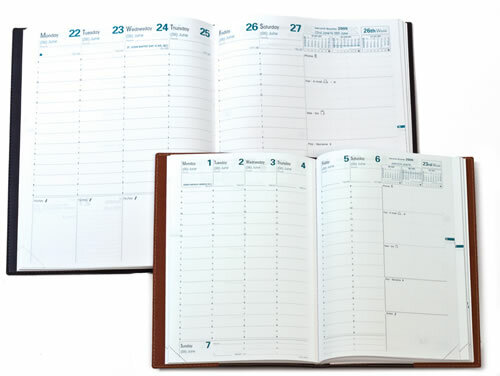 Quo Vadis planners and notebooks are made with ultra-smooth Clairefontaine paper. Clairefontaine is a French paper manufacturer that is renowned for its fine quality notebooks and fine art papers. Clairefontaine paper is known for its superior opacity – write on both sides of a page without bleed-thru or feathering. 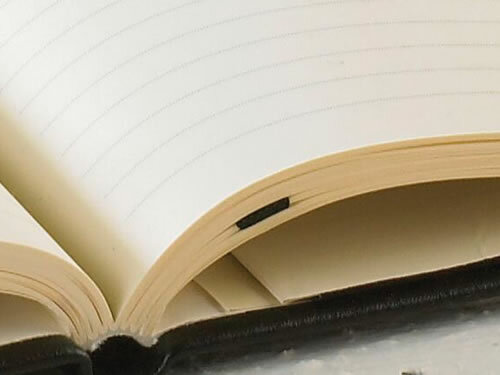 Habana notebooks have creamy ivory pages in blank or ruled. The subtle grey dotted lines are 5.5 mm, so each page has plenty of room for notes. The combination of page opacity and fast drying time makes them a favorite of many fountain pen aficionados. These pen-friendly planners and diaries have 90g extra white paper. Write, decorate and sketch on each page. Our smallest diaries are made with lighter, finer paper, but will still take a fine nib with ease. Habana notebooks have creamy ivory pages in blank or ruled. Pen-friendly planners and diaries have 90g extra white paper.